Get Zenbu and Hokoku add-ons together as a bundle and save! View your entry data and export it too! A powerful channel entry manager like no other. 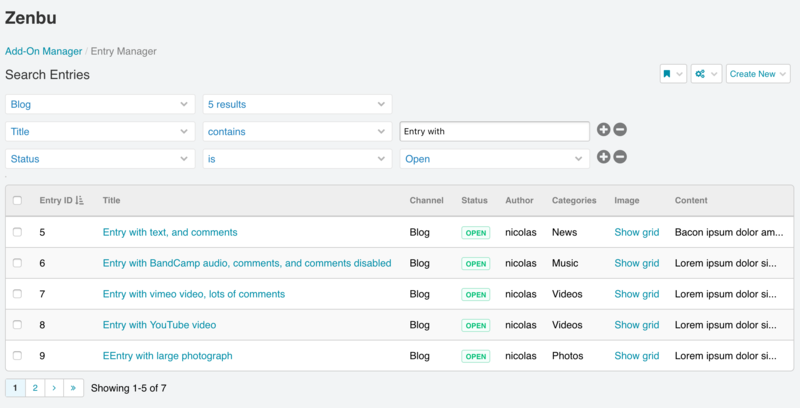 Display and search your entry data, including custom fields, in a flexible way in the Control Panel. Export the entry data viewed in Zenbu in multiple file formats (CSV, JSON, HTML…), from a one-click button within Zenbu, or from the front-end in a template. Add cron to the mix for a useful entry reporting engine!